Some people think that works exclusively with animals a veterinarian or zoo worker. Actually it is not – professions associated with them, much more. The vet is the most famous of them, but not the only. If you decided to connect his life with work, dealing with animals, you can try yourself in the role of a sales assistant of a pet shop. This position does not require special education, but be prepared that you will have to obtain some knowledge that will help you to sell the product and give the customer professional advice on caring for purchased animals. Often assistants are required to the zoo, a shelter or a hotel for animals, which also do not require special skills and pay very little. Some shelters are underfunded, so the animals most often they treat the volunteers. In zoos usually require ichthyologists, herpetologists, serpentary and other jobs requiring higher biological education. In the field of agriculture in-demand professions are zooengeneery and livestock, which spetsializiruyutsya on breeding, feeding and appointment of farm animals. Dog lovers can learn from the canine to breed and train these faithful animals. Dog handlers can prepare for guide dogs, to act as judges at exhibitions, and also work with psychologists, nutritionists and fitness trainers for dogs. If you have professional education in psychology, healing medicine, or physical education, you can apply for the courses canine therapy. Canistherapy is a treatment and rehabilitation to people with the help of specially trained animals. Lovers of horses can become servants, biratori, coaches the equestrian complex or a jockey, having passed special training. Hippotherapy is another form of treatment and rehabilitation of patients with tame horses. 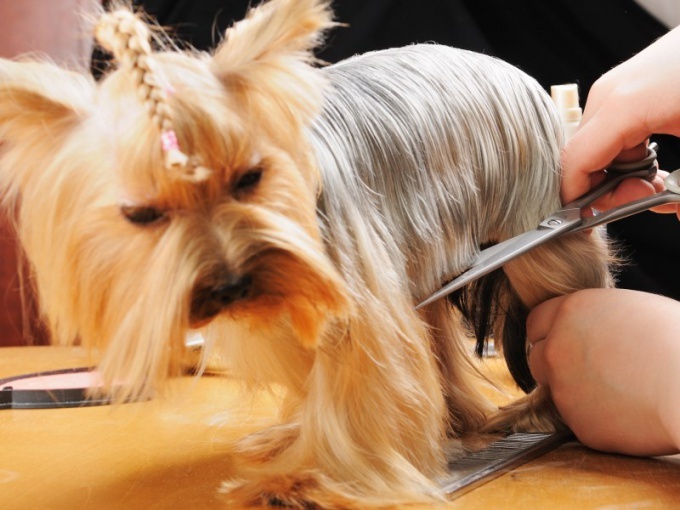 Popular today is a profession groomer – specialist in professional grooming and care of dogs and cats. People of such a profession is obliged to take courses where he taught psychology and anatomy of animals, learn the special tools and learn to identify the exotic approach to its customers. You can also try yourself as a breeder, but it will have to veterinary, economic and legal knowledge, to accumulate start-up capital and to love their Pets with all my heart. So, the main requirements to the professions related to working with animals, is love for him and willingness to practice in the treatment of their wards.